Web analytics involves looking at how people interact with your website, trying to understand what those interactions mean and then, most importantly, acting on this information to improve your business. By knowing how your customers arrive at, behave on, and leave your website, you can try to better understand what they like and don’t like about your website. Web analytics involves analysing the behaviour of your customers on your website, to see how they arrive on your site, where they leave from, what pages they view and what information they download. It can also involve surveys and A/B testing so you can hear directly what users think of your website design, layout and usability. 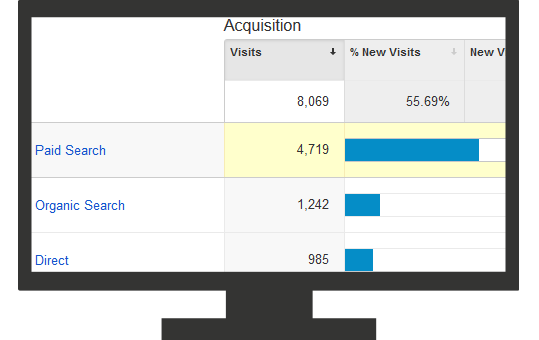 Basically, web analytics data is a window into the mind of your customer. All this information can be used in your online marketing campaign to improve your site for users – increasing their satisfaction and your sales. There are two areas which can be influenced by using Web analytics to create tangible results for your business. These are: Conversion, in relation to digital marketing, refers to converting your website visitors into customers. Usability refers to how easy it is for a customer to use your site. When a customer arrives on your website there are many obstacles between them and making a purchase. Your aim should be to remove and simplify as many of these as possible. Together, conversion and usability are important to ensure that your website is doing what you want it to do for your business. Do your customers want to find prices? Maybe they care more about certain features. They might want to know what kind of support you offer, or where your stores are located. It is surprising how many sales are lost simply because the information your customers want isn’t necessarily the information you give them. 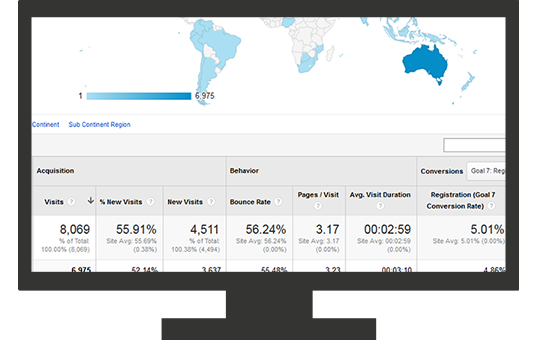 Web analytics can involve using data such as search rankings, competitor analysis, surveys and onsite tests, but the most popular source of analytics data is that produced by dedicated analytics packages, for example, Google Analytics. Web analytics can help you identify your most effective and ineffective web pages, search terms, links, content, marketing methods – basically any aspect of your website. By identifying the best performing parts of your online marketing strategy, you can capitalise on them. MooMu Media can help you collect relevant web analytics data and teach you how to use it to create actionable insights for your business. This may include design (or redesign) of your website to increase conversion and usability, making your customer happier and improving your business. Why not get in touch now to find out how our digital marketing expertise might do this for your business?